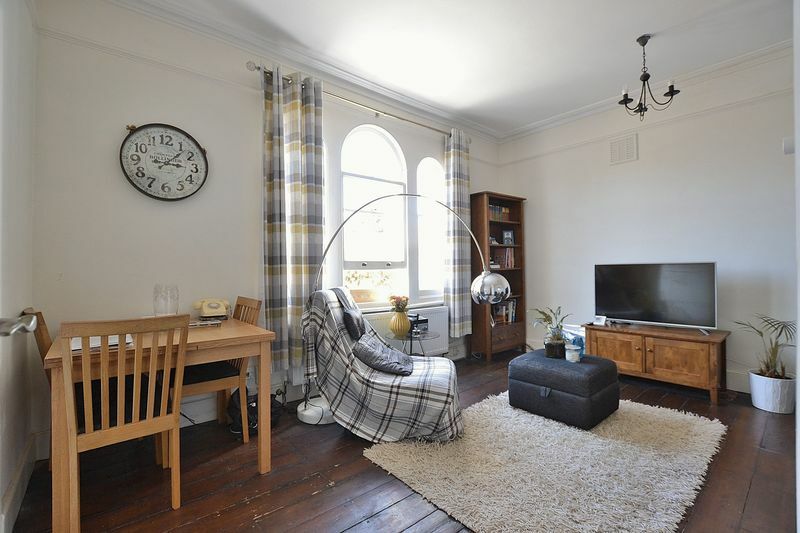 Situated on the quieter section of Cambridge Road finds this 2 bedroomed Victorian, first floor conversion flat with its own large private garden. 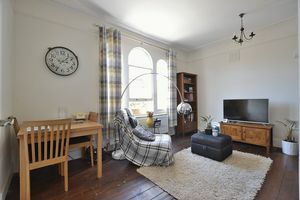 The apartment comes with its own private entrance, and the usual features Victorian conversions have to offer, such as high ceilings, picture rails, sash windows and original wooden floor boards which are still in use in the lounge and hallway. Decorated neutrally and tastefully by the current owners, This property offers a newly installed kitchen which includes integrated fridge/freezer, washer/dryer and dishwasher. 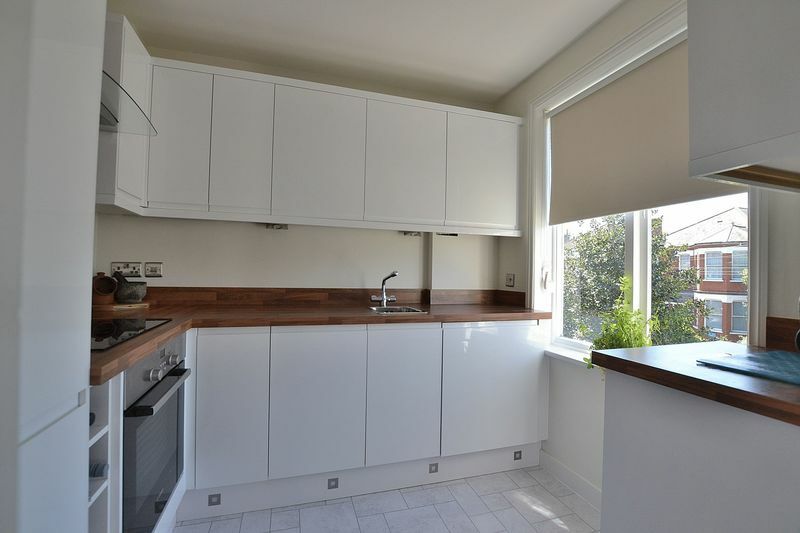 A fitted oven and ceramic hob are also included. There is a modern bathroom with power shower fitted over the bath. 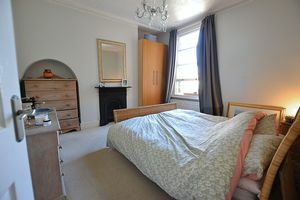 The main bedroom has a feature fireplace with recesses to either sides for wardrobes and drawer space. 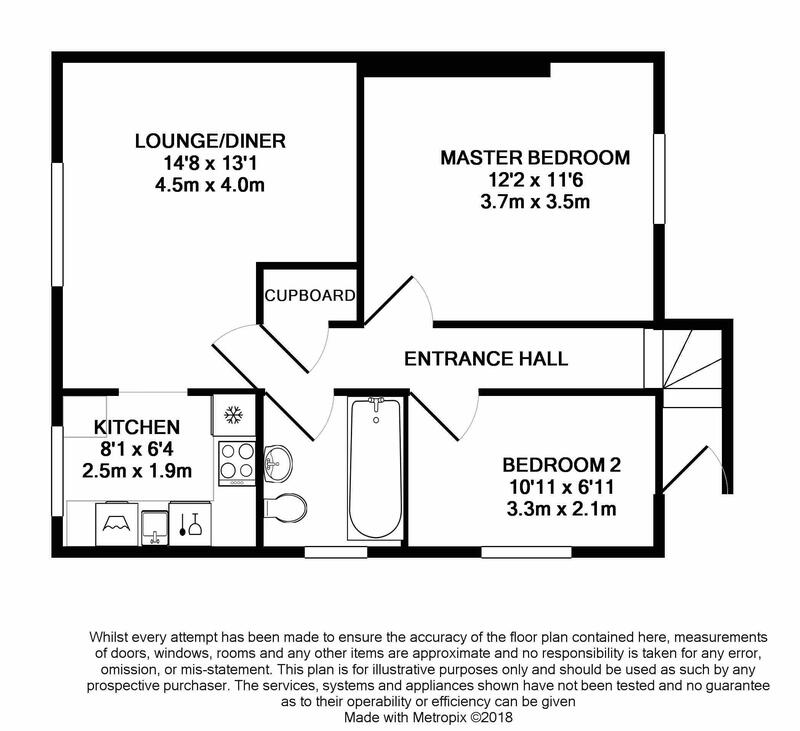 There is loft storage space fitted with a retractable access ladder. 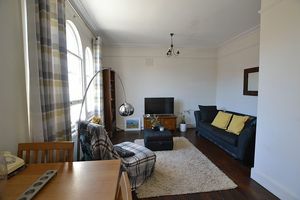 This loft area could also be converted into an extension, STPP. 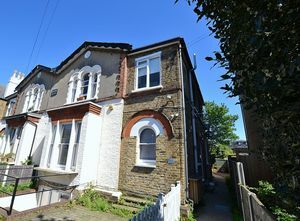 There is an exclusive fenced off south facing large private garden. 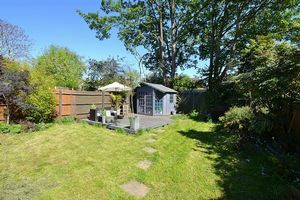 which includes a Summer House and sociable decked area. Shed Storage is also included within the sale. Within easy walking distance to both Bromley North and Sundridge Park rail stations, as well as Bromley Town Centre with its array of retail outlets, bars and restaurants. 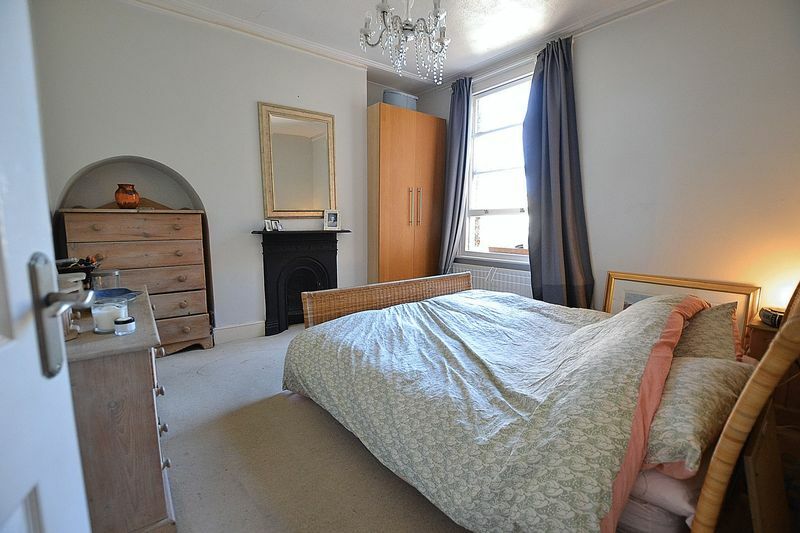 Double panelled radiator, wooden floor and storage cupboard. 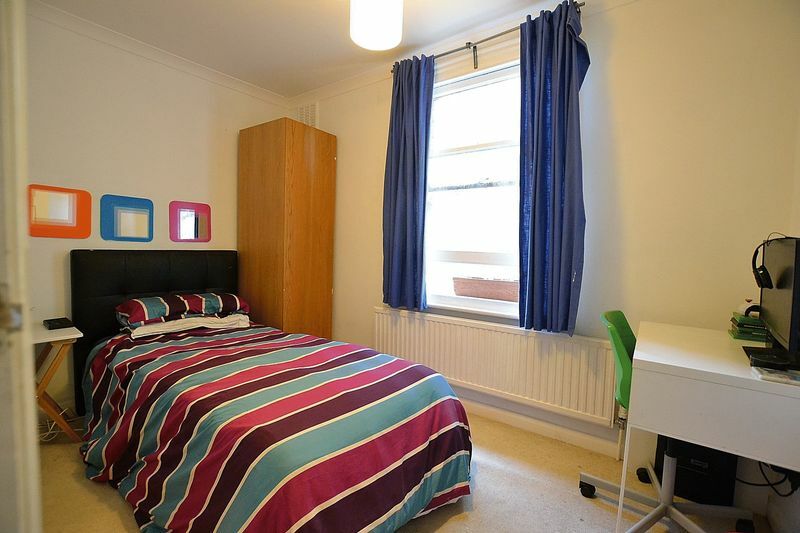 Single glazed window to side aspect views, single panel radiator, coving and power points. 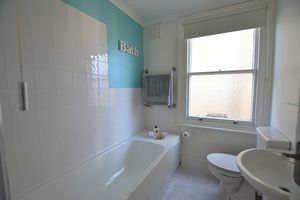 Single glazed obscure window to side aspect, panel enclosed bath with hot and cold taps, separate wall hung shower with exposed valve, close coupled WC, pedestal wash hand basin with hot and cold taps, chrome heated towel raid and part tiled walls. Single glazed window to front aspect views, matching range of base and eye level units with work surfaces over, stainless steel sink with hot and cold mixer tap, four ring ceramic hob, oven, chimney filter hood, integrated fridge/freezer, integrated dish washer and integrated washing machine. 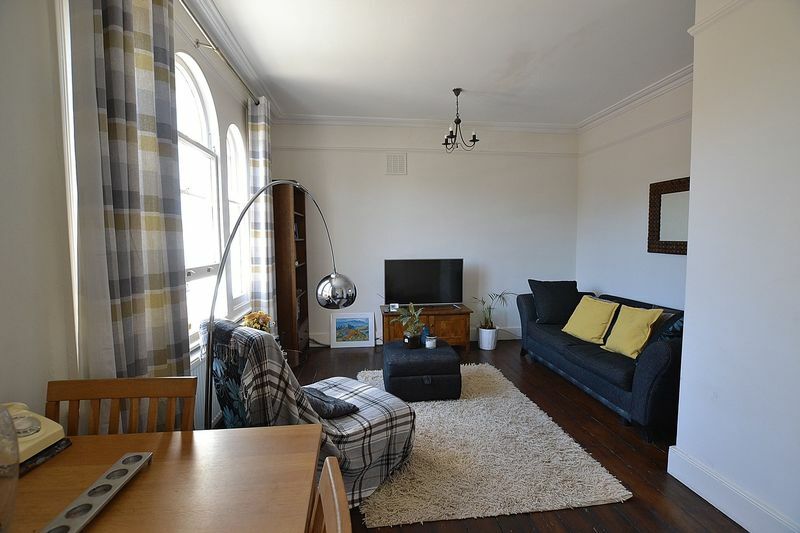 Single glazed window to front aspect views, double panelled radiator, wood floor, coving and power points. 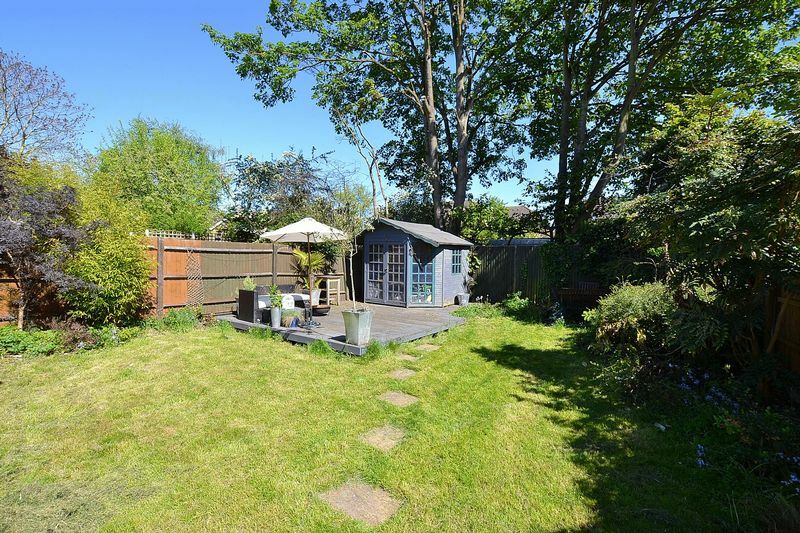 Decked area with lawn and shed.